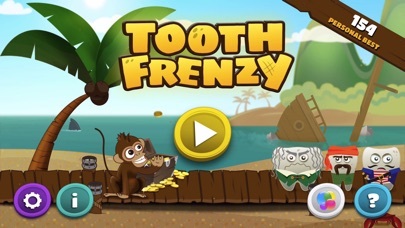 Discussion in 'iPhone and iPad Games' started by Tooth Frenzy, Sep 16, 2016. 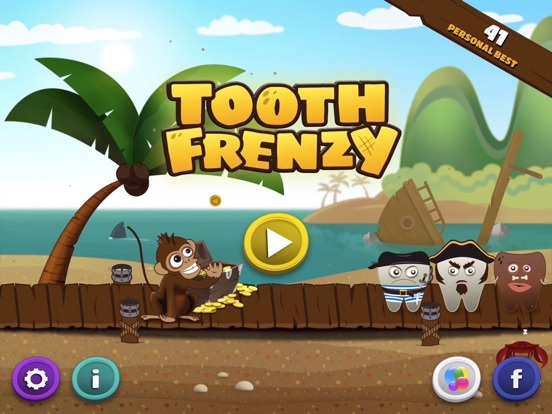 What do Teeth, Pirates and Monkeys have in common? Unique and fun gameplay! 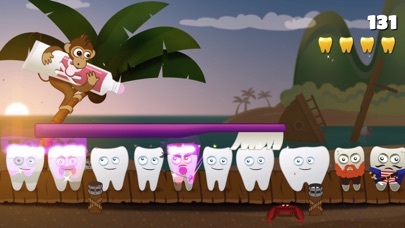 Ita all about importance of clean teeth, packed in fun and enjoyable gameplay. We invite you to the world of dirty pirates and stolen treasure. 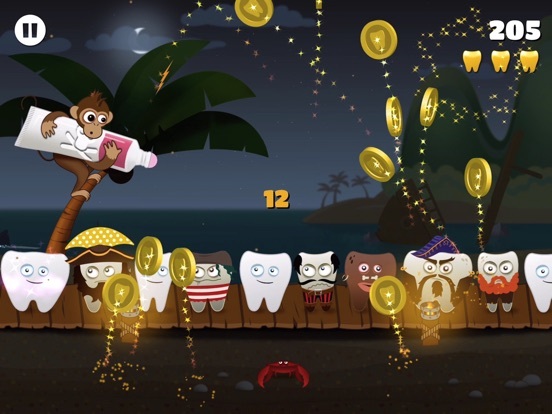 With magic toothpaste, coins and special bonuses help monkey to clean pirates and keep them away from the treasure. Clean them all! They are many and of all sorts, but all are dirty and keep running faster. Pick the coins and get extra lives before the greedy crab does it for you. Unlock crazy bonuses but be smart with the magic toothpaste. Try hard and feel the frenzy, enjoy the action and have endless hours of fun. once were clean and fairly silent. stealin gold they call AVAST! shall bring em back to fair new ways. If you get stuck, you can use optional in-app purchases to buy bonuses instead of completing objectives. We value your feedback and are working hard to improve this game! If you find a bug or have a suggestion, please send it to info@toothfrenzy.com. 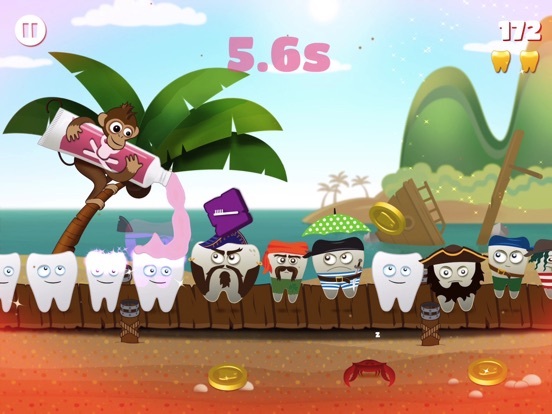 What do Teeth, Pirates and Monkeys have in common? Unique and fun gameplay! 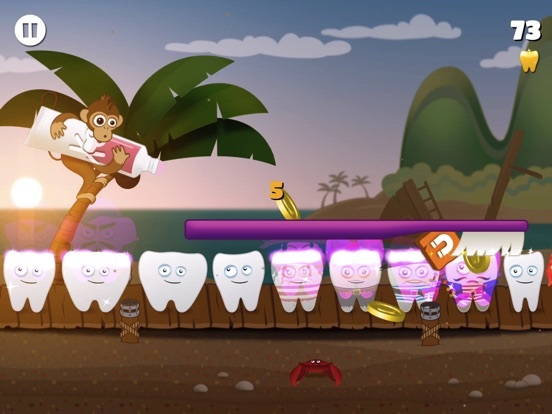 It’a all about importance of clean teeth, packed in fun and enjoyable gameplay. We invite you to the world of dirty pirates and stolen treasure. 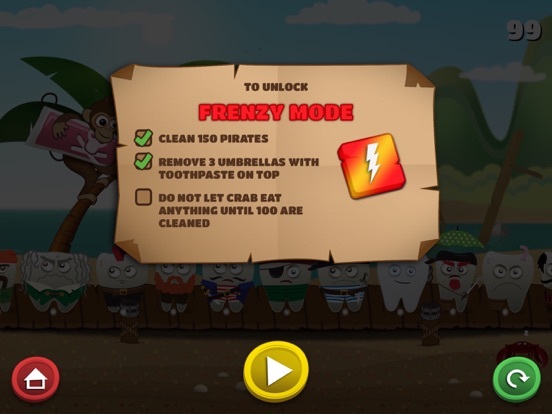 With magic toothpaste, coins and special bonuses help monkey to clean pirates and keep them away from the treasure. YOUR CHALLENGE Clean them all! They are many and of all sorts, but all are dirty and keep running faster. 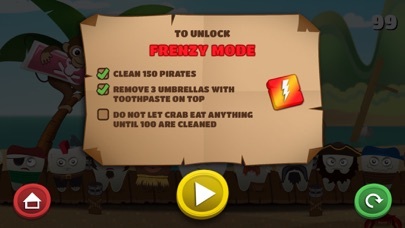 Pick the coins and get extra lives before the greedy crab does it for you. 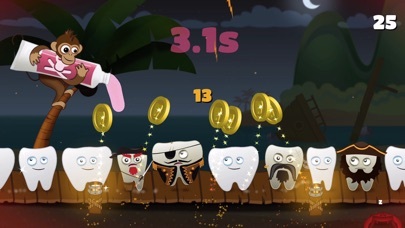 Unlock crazy bonuses but be smart with the magic toothpaste. Try hard and feel the frenzy, enjoy the action and have endless hours of fun. 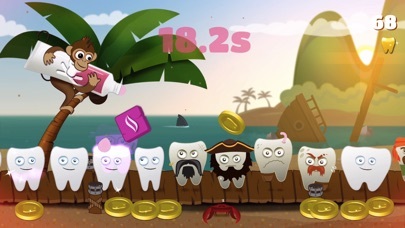 FEATURES • Very simple gameplay • Unlock bonuses by completing objectives • Beautiful graphics • Great looking characters • iCloud sync between devices • Game Center achievements and leaderboards • Multilanguage support • No age limitation ;) HOW TEETH BECAME PIRATES “Dirty teeth on treasure island, once were clean and fairly silent. But they decayed to pirates fast, stealin’ gold they call AVAST! Monkey and its magic paste, shall bring ‘em back to fair new ways. Best to leave those clean alone, or ye shall break ’em to the bone.” OPTIONAL IN-APP PURCHASES NOTE If you get stuck, you can use optional in-app purchases to buy bonuses instead of completing objectives. FEEDBACK AND SUPPORT We value your feedback and are working hard to improve this game! If you find a bug or have a suggestion, please send it to info@toothfrenzy.com. Hi all. Our game is now FREE for limited time. Try it.